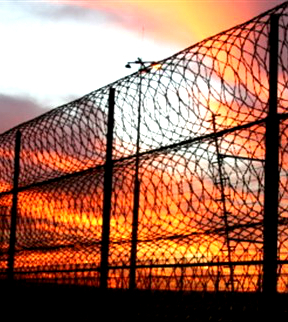 The NSW Industrial Relations Commission (IRC) has ordered striking prison officers to return to work. Up to 4,000 prison officers went on strike to protest proposed job cuts. Corrective Services NSW argued before the IRC that the “unauthorised” industrial action by members of the Public Service Association and Professional Officers Association was “unnecessary and inappropriate”. The unions said they did not instigate the industrial action, and that officers undertook it on a prison-by-prison basis. The NSW Chief Magistrate's and Chief Judge's Office said the strike prevented important custody matters from proceeding, and forced it to adjourn them to new dates. Public Service Association secretary Stewart Little said the NSW prison system is in “crisis”. The Goulburn supermax prison and Long Bay jail in Sydney face looming job cuts, but workers believe that may just be the beginning. “We have a prison population that is fast approaching 14,000 ... it's a system that is designed and built for 11,000 inmates,” Mr Little said. “This has come about because of a complete failure by the Government to adequately manage and plan for that system ever since the bail laws were changed back in 2014. Mr Little said job cuts would put officers’ lives at risk, with assault rates already having tripled in the last three years. But he said the strikes did not create new safety issues, as all prisoners were secured in their cells. Corrective Services NSW has defended its use of ‘benchmarking’ to ensure prisons are “efficient and taxpayers receive best value for money”. “It involves reduced staff in some areas of prison operations and extra staff in others,” a department spokesperson said. The department says it will look for alternative jobs for affected staff, and that it expects to create hundreds of new jobs were expected to be created in the next two years.